This data in turn is used to build a separate worksheet for each Data Type, with each part in a row and the values for the user data in columns. 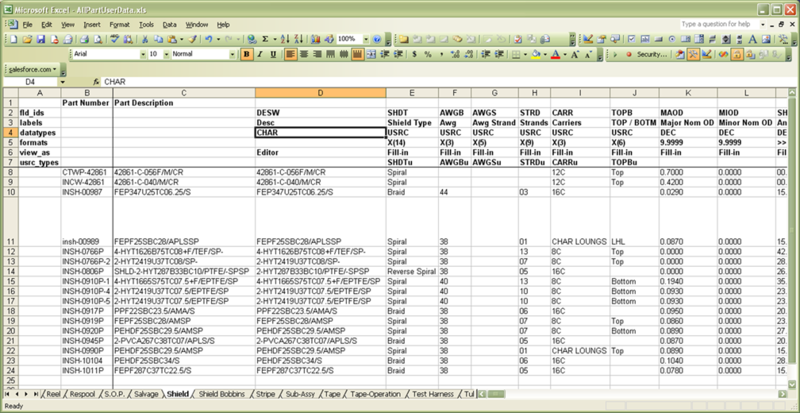 In this sample, each Data Type is limited to 25 parts. The full production version for Parts User Data at C&M is 25 MB! This approach is valid for all types of AXIOM User Data. Recently we needed this report for Product User data and had the final report prepared and scheduled to update nightly in less than 30 minutes.